The choice of function space allows us to make conclusions in the multidimensional case that are analogous to results in the theory of spline functions of one variable. 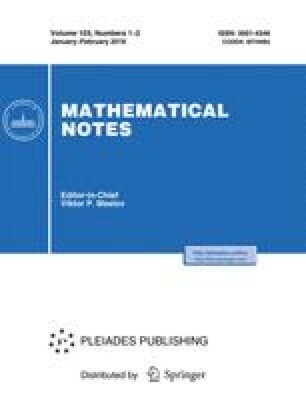 We establish the minimum norm property, the existence and uniqueness of a solution of the interpolation problem, the property of best approximation, and the convergence of interpolation processes. Translated from Matematicheskie Zametki, Vol. 14, No. 1, pp. 11–20, July, 1973.